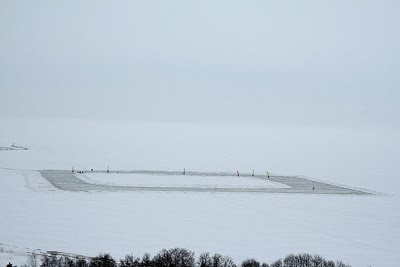 The track for Ice-Blokart Worlds is complete! 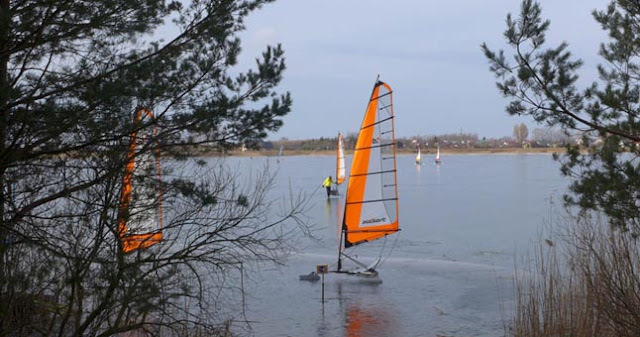 Today was the training session, the weather was fantastic: 8-4 m/s SW wind, sunshine and +2C temperature. Ice became smoother and with the water surface on it. It is expected to harden overnight and to build perfect race track for the first day of the Championships. However the list of the pilots participating, shortened as some of them got stuck in snow traps on the way to airport, some got ill, etc. By now it is expected that 40 pilots will have their start tommorow.